This is a lovely big rich spicy wine full of power character. Loaded with swarthy, ripe, bold dark fruits, an earthy touch and a nice grippy finish, this can be very happily drunk now, but will keep and develop for a few years. Tempier wines, in my experience, can age for a decade or more. Open this up when serving robust dishes featuring red meats and game. I would decant it just before serving. This wine brought back many memories, all happy, when I drank it on a cold winter’s evening. Before he married, my dad used to spend his summers in Bandol and always waxed lyrical about the beaches and warm Mediterranean sun. Since childhood, I had always wanted to go. Eventually I made the pilgrimage with my sister, a chef, and in the event, it was slightly disappointing. Bandol has become very developed and touristy, a world away from the town he visited in the 1930’s and 1940’s. 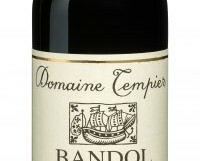 However, a visit to Domaine Tempier, a wine I had admired and enjoyed for many years, was fantastic. The wines have become more modern, but in a good way, and still retain a lovely muscular rusticity alongside great depth of ripe herby fruits. It is not cheap, and the excellent single vineyard wines are more expensive, but this is one of the great domaines of France. €39.95 from The Corkscrew, Chatham Street; Terroirs, Donnybrook; Power and Co., Lucan; Grapevine, Dalkey; 64 Wines, Glasthule; Worldwide Wines, Waterford; Karwig Wines, Carrigaline.